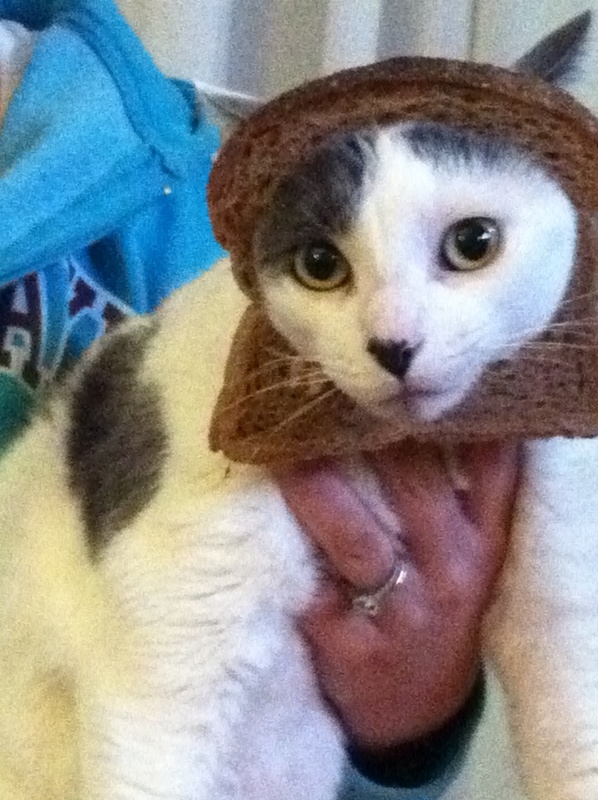 Yeah...I did this to my cats. Apparently its all the rage on line. See here and here. Needless to say Luna was none too happy. Oh how cute my grand kits are. Cute but not happy, especially Luna. I saw this on jimmy kimmel... so funny! I'm just learning so much on facebook and the blogs. 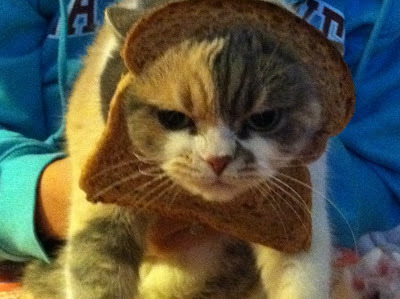 First planking and now inbreading! My 13 year old just saw this and said, "Ewwww, that's nasty." lol "Nasty" seems to be the "now" word. My sister was not impressed either. Her huge dislike for animals did not help much. She called it gross. I call it cute.